Do these cans sound as good as they look? Sony has been in the audio technology business for a good while now, so when we get a pair of Sony headphones in, our hopes are understandably high. 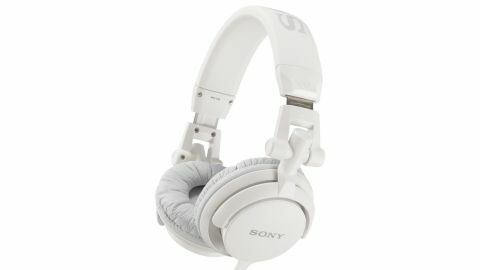 Their design is attractive, and the Sony MDR-V55 can be swivelled and folded to be easily carried around. The cushioned cans make the Sony MDR-V55 comfortable to wear, though after half an album you'll probably want a break. The lead, while a bit on the short side, is flattened to again make these headphones easy to carry about, as well as minimising knots and tangles. Of course it's the sound quality that's most important here, and unfortunately the Sony MDR-V55 comes up short. The audio range seems pretty limited, with the sound feeling flat, and at higher levels suffering from distortion. It's a shame, these headphones look the part, and at lower volumes sound OK, but listen to anything reasonably loud and you'll be disappointed.